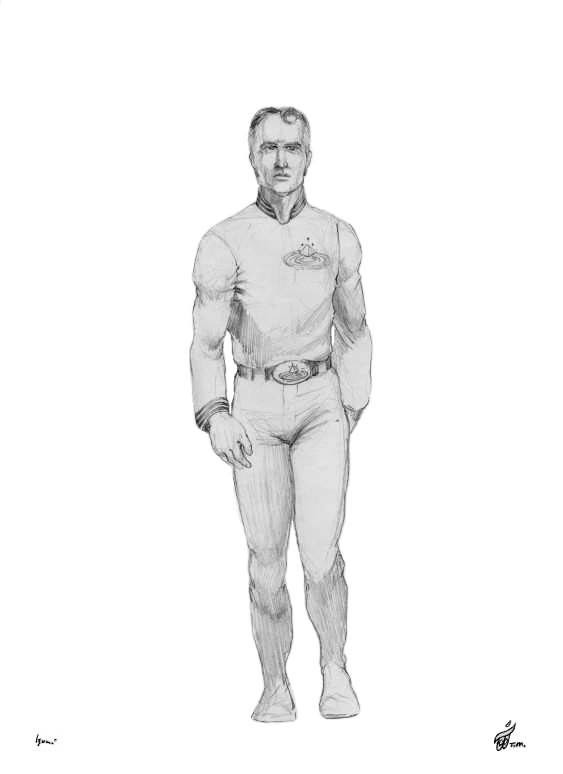 You must have guessed by now this Admiral Starland Character Sketch resembles Captain Kalem Starland because this is his father. He appears to be a Caucasian male but he is not from Earth. Actually, he is the Admiral of the entire Galactic Inter-dimensional Alliance of Free Worlds space fleet. This Admiral Starland character sketch also shows his mature spiritually stately nature. This is true because, unknown to his son Kalem, he is also a Adept of The Ancient One. Admiral Starland explored many new worlds in the Milky Way Galaxy (our galaxy), and worlds in many parallel and even higher dimensions of the physical universe. This resulted in the expansion of the entire Galactic Inter-dimensional Alliance Of Free Worlds. You can begin to awaken your own true hidden destiny by exploring The Parallel Time Trilogy story starting with The Emerald Doorway (Three Mystic Crystals) illustrated hardback book or e-book. During your phenomenal visual adventure, flying through the pages of the book, you may be inspired and have personal experiences about how great your hidden destiny really is. Go on the journey and begin to personally experience what lies beyond our planet. Then come to know the truth about what exists in other dimensions beyond our world by freely exploring the pages of The Emerald Doorway (Three Mystic Crystals) and The Seres Agenda. Much more will be revealed about the higher dimensions and your place in them within Books Two and Three of The Parallel Time Trilogy adventure.